Due to the immense size of the leaf, it is imperative to use enough leaf. This is not your grandmother’s ‘a teaspoon per cup’ type of tea. Because the leaf is so large, and you will be steeping the leaf at least a second time, in order to have the 3 grams that are appropriate to use, it is necessary to use at least 2 Tablespoons per 6 ounces of water. If you do not use enough leaf, the steeped tea will be thin and dry – quite the opposite of the big, bold, smooth flavor that this leaf will have when measured by weight. Being a ‘rested’ tea, the Chinese would tend to ‘sneak up on it’ when steeping it by starting with initial steepings of 30 seconds to one minute and then quickly increasing the steep time to between one and two minutes until all the flavor in the leaf is spent. The Wu Yi Shan area of northern Fujian is home to several lovely and historic black teas such as this tea and also the famous yan cha strip-style oolongs. Famous for its natural beauty, challenging hiking trails, and deep cut gorges, the Wu Yi also provides tea lovers with some of the finest teas of China. This tea comes from the center of the pristine Wu Yi Nature Reserve which is located to the north of the Wu Yi Shan range. Although the Wu Yi Shan is the most famous place for oolong tea, the primeval bamboo and pine forests of the nature reserve make this a special place for all tea bushes to thrive and for wonderful black teas to be made, too. Visitors are kept to a minimum here – when we were invited to visit the Tong Mu area our vehicle was still required to pass through several gated and heavily-guarded checkpoints on the way up the mountain before we were given clearance to proceed on to the tea growing and smoking shed area. 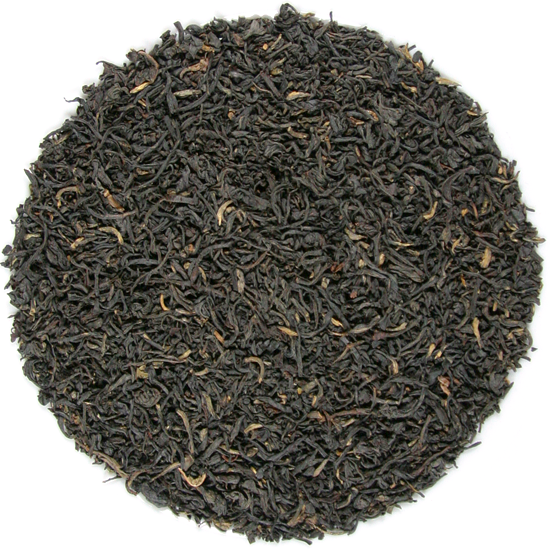 This style of tea is one of the ‘original’ eastern China black teas known collectively as bohea. The smoked version came later, and the rest, as they say, is history. This complex black tea comes from the same area as several other of our premium Wu Yi black teas – the remote tea-growing region around Tong Mu in the China National Nature Reserve of the Wu Yi Shan tea harvesting region. When we visited this famous tea-growing region many years ago we were primarily interested in learning more about the manufacture of the smoky teas Zheng Shan and Lapsang Souchong, and the revered Wu Yi yan cha (rock oolongs). Outside of China these are the best-known teas from the Wu Yi region, but in the process of discovery about the production of those teas we learned quite a lot about other teas from the area that are well-known to black tea enthusiasts in East Asia, but are not so familiar to the rest of the world. Over the years since our first visit to the Wu Yi Shan we have been able to increase Tea Trekker’s selection of black teas from this region, while also securing many excellent oolongs. 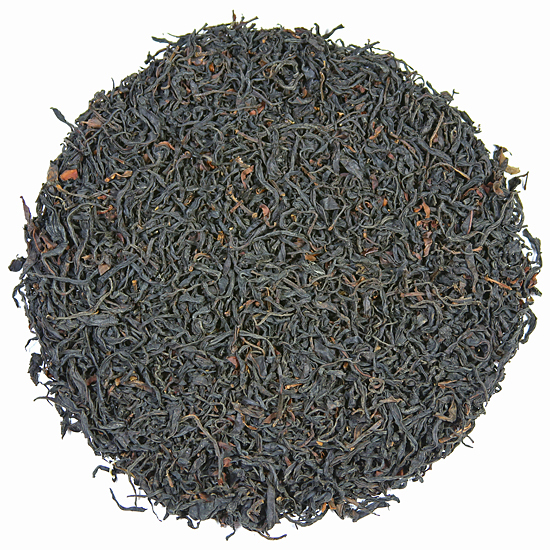 This year we have a new black tea from the region and it is called: Wai Shan Lao Shu. One of the unique aspects of this tea is that its leaf is sourced from local tea bushes that are approximately 70 years old ( Lao Shu = old tea bushes/trees) and in many cases have grown into small trees the size of a dwarf crab apple tree. We have seen tea bushes / tea trees this size in the Wu Yi Shan, in the wild-tea-growing areas of Yunnan Province, and in the Phoenix Mountain area of Guangdong (where we are looking for dan cong oolongs). The leaf and subsequent finished tea that is plucked and made from larger tea plants tends to be larger in size than leaf plucked from small tea bushes. This larger leaf is also slightly irregular, with much complexity and depth of flavor. The traditional characteristics of Wu Yi black teas are their deep flavor notes that are reminiscent of dried fruit, with overtones of cacao, plum, and other red, ripe fruit. They tend to be slightly dry and ‘stoney’. 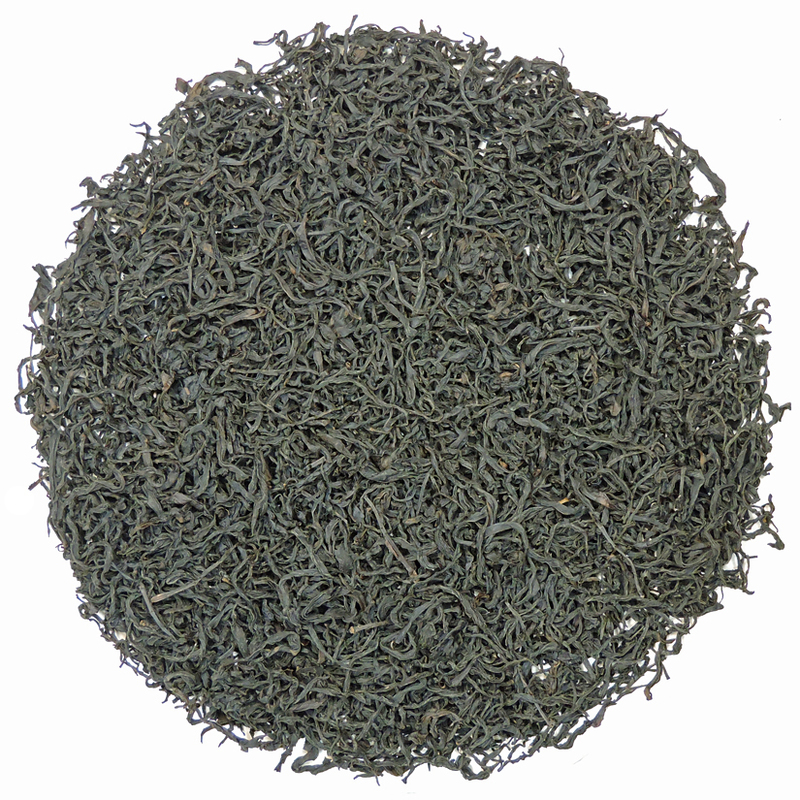 This character is what is meant in the term ‘yan’ which references the river stone, ‘flinty’ quality (think Reisling) of all tea from this region, whether tasted in the yan cha rock oolongs or these soft black teas. 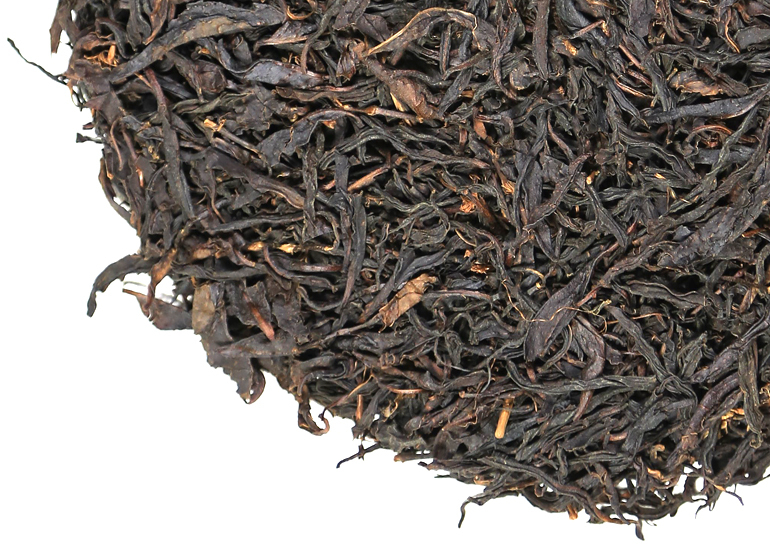 The aromatics of our Wai Shan Lao Shu are bright and intoxicating, mostly in the wet leaf – with cinnamon bark as the predominant aroma, accentuated with the aromas of dried fruit (especially apricot) and ripe melon rind (orange-fleshed, not green-fleshed). The dry leaf has little aroma, because the cellular structure of the mature leaf holds the aromatic properties deep inside the leaf, waiting to be released when the tea is steeped numerous times. The liquor of Wai Shan Lao Shu is dark red-amber in color. Clear in hue, the liquor has little sediment because the leaf has an open twist that does not hold the small particles that ‘muddy’ a steeped tea. As with the aromatics, the coloration of the liquor may require several steepings to fully develop, so if the first one or two steepings are more pale than you expect, this is why. 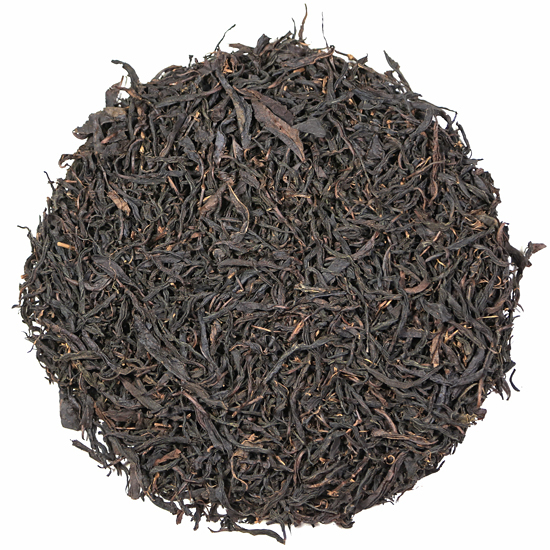 As with many well-made premium Chinese black teas, Wai Shan Lao Shu is a quite large whole leaf, long on flavor, smooth on the palate, and big in the cup. One can add milk or not, but to enjoy it as the Chinese do, it is best drunk plain. This tea tends to be more appropriate for the tea enthusiast than for the novice tea drinker. This tea is what we refer to as a ‘rested‘ tea. It is not quite old enough yet to be considered an ‘aged‘ tea, but it has several years of development and is just entering its prime drinking time, which should be now until about three or four years from now (and who knows perhaps longer!) We think that it is absolutely super and are quite delighted to have it.